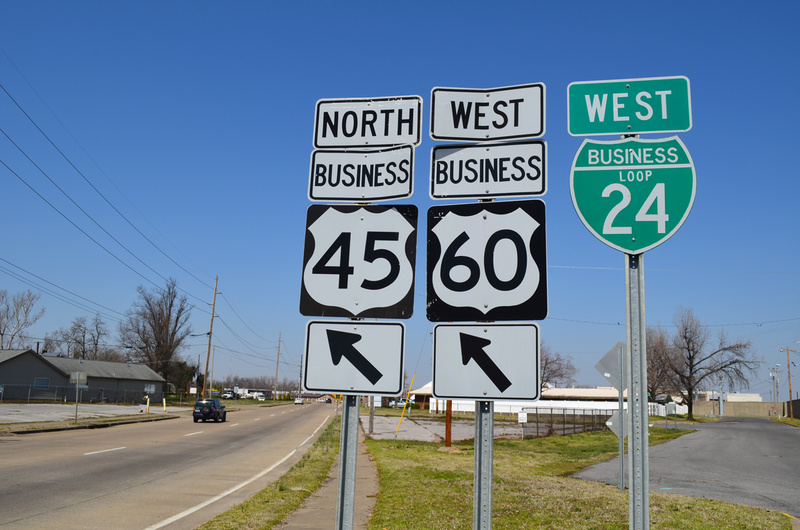 Interstate 24 has only one business loop, in Paducah, Kentucky. 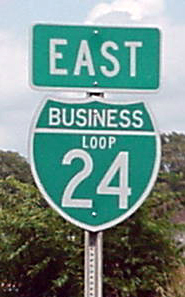 Business Loop I-24 shield in Paducah. Photo taken by H.B. Elkins (06/00). 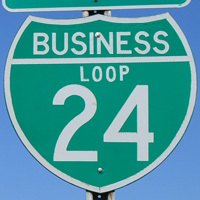 Business Loop I-24 constitutes a 11.4-mile loop through the city of Paducah between Exits 4 and 11. The loop overlays U.S. 60 east along Hinckleville Road to Park Avenue and U.S. 60 Business (3rd Street) through Downtown. Following U.S. 60 Business (Wayne Sullivan Drive), Business Loop I-24 traverses an industrial area along side the Tennessee River before turning south to become Kentucky 1954 (John L. Puryear Drive) on the return to Interstate 24. 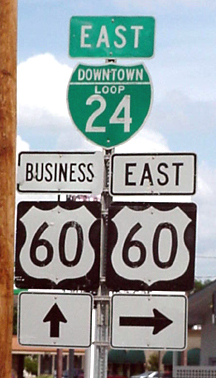 The Paducah Business Loop was originally signed as “Downtown” Loop I-24, similar to signs for the Interstate business routes in Sioux Falls, South Dakota. Riddle, Billy. “Font Size: 3di.” Online posting. 28 Oct. 1998. misc.transport.road. Page updated August 23, 2016.
Business Loop I-24 & U.S. 60 (3rd Street) west at Ohio Street outside downtown Paducah. Photo taken 04/05/13. 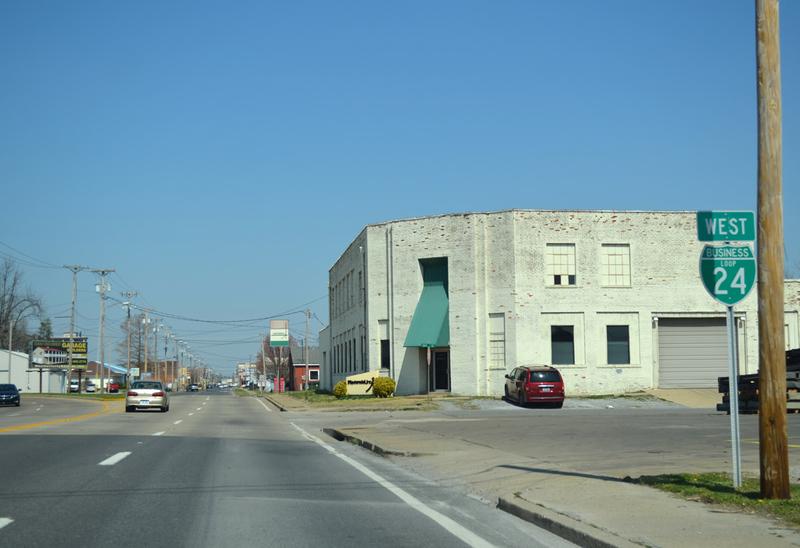 Business Loop I-24 partitions into a one-way couplet of 3rd (west) and 4th (east) Streets through Downtown Paducah.